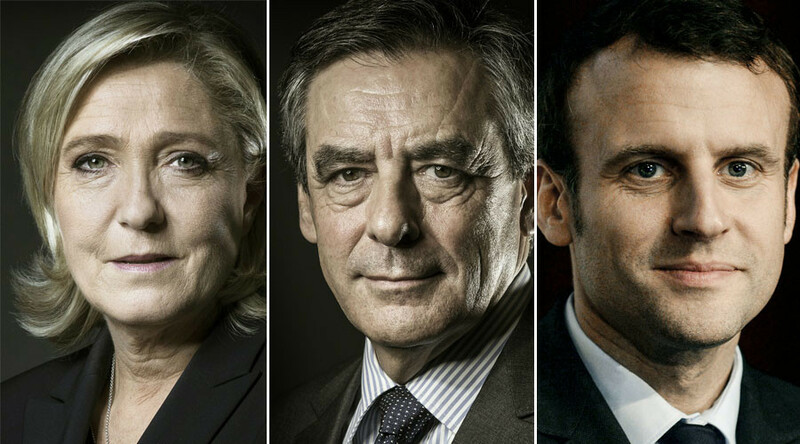 As the French presidential race heats up, WikiLeaks has reminded the world that its archives contain potentially sensitive files on three rivals – the Republican Francois Fillon, the right-wing hardliner Marine Le Pen and the liberal Emmanuel Macron. Most of the files already published by the whistleblowing organization – some of which were released as early as 2012 – cover specific periods stretching between the mid-2000s and 2011 or 2012. Fillon fiercely denies claims of wrongdoing, telling the TF1 news program that “my wife has been working for me forever, ever since I first got elected in 1981.” The Republican presidential candidate also expressed his “disgust” for the allegations and announced that he would quit the race if placed under formal investigation. Later on Wednesday, WikiLeaks said in a separate tweet that there are also some 1,138 dossiers on Marine Le Pen, the hardline leader of the right-wing National Front, whose strong appeal with disenfranchised voters and those who feel threatened by a multicultural society has helped the party secure enormous popular support. Just like Fillon, Le Pen has found herself in the midst of a money-related scandal. She is accused of having employed Catherine Griset, her chief-of-staff and former sister-in-law, as well as bodyguard Thierry Legier as her assistants at the European Parliament. According to the EU’s anti-fraud agency, the people in question might have been paid up to €350,000 ($380,000) from the parliament's funds. Fillon and Le Pen are currently almost neck and neck in the race, according to the latest surveys. According to a Kantar Sofres poll quoted by Le Figaro last week, 25 percent of respondents said they would vote for Le Pen in the first round of the elections in April. Fillon placed second, with 22 percent of the vote. The WikiLeaks’ Global Intelligence Files cited the 2012 polls indicating that Le Pen, an outspoken critic of EU policies and immigration from Muslim-majority countries, was popular at that time, as compared to then-President Nicolas Sarkozy and the former head of the International Monetary Fund, the socialist Dominique Strauss-Kahn. Notably, WikiLeaks also provided an insight into Emmanuel Macron, the 39-year-old former economy minister who now leads his own political movement ‘En Marche!’ (‘On the move’). His movement has cast itself as a fresh approach to politics, appealing to young, pro-European voters. The Kantar Sofres poll gave him 21 percent of the vote during the first round of elections, and his agenda appears to worry his far more experienced rivals Fillon and Le Pen. Last year, an avalanche of Clinton campaign files, released by WikiLeaks in regular batches during the US presidential run, damaged the Democrat’s hopes of victory, exposing her connections to the American financial establishment and corporate media.